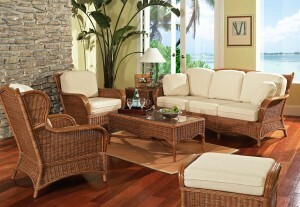 Our beautiful quality rattan living room sets are available in many different combinations. 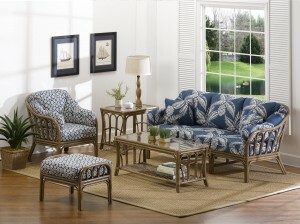 You are free to mix and match pieces to design the perfect collection catered to your needs and wants. 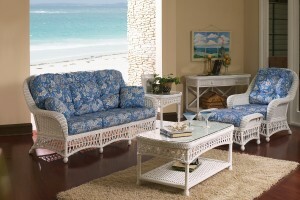 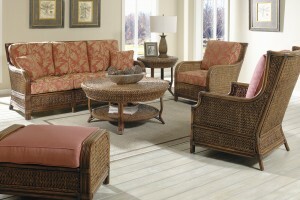 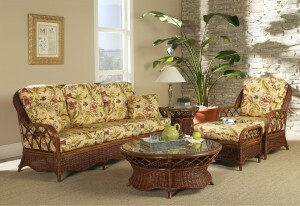 The rattan living room sets usually come in 4pc, 5pc and 6pc sets. 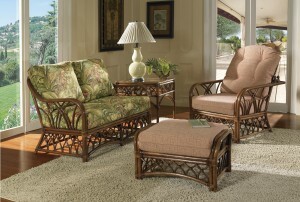 These gorgeous collections of rattan furniture consist of sofas, loveseats, lounge chairs, ottomans, coffee tables, end tables, rockers, recliners, swivel gliders and more. 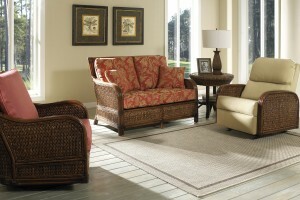 The customizable living room sets are available in a variety of gorgeous fabrics and rattan finishes. 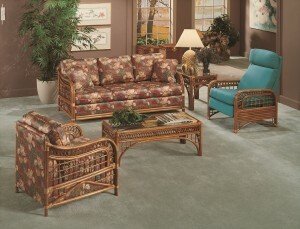 Let our rattan professionals know if you'd like help selecting the perfect living room set for your home.